For the first time in many years’ activity in the Greyton and Overberg property has visibility slowed. This is in line with similar patterns felt throughout the country. While interest remains, buyers have been struggling to sell in other areas delaying the completion of some transactions. Prudent sellers are becoming much more accommodating to buyers with cash or other approved financing. This is now being confirmed by stats available on the larger property portals. It should also be noted that several other factors also contribute to this. Lei water is not in operation due to low river levels, application of recent municipal rates increases and service delivery protests. It would also appear that visitor numbers from up north were lower. This was however offset by a surprise in the number of international arrivals. Numbers are similarly up for the mother city. Longer term this is a good sign for property in the Western Cape. Winters in the Western Cape were usually well known for two things. Firstly it generally rained a lot and secondly with the cold rainy weather activity in the property market would slow to a crawl, well in Greyton anyway this could be seen as a fair reflection of the general state of expected play. So it was a great surprise and some relief when this year it actually started to rain and the dams began to fill after apocalyptic predictions. It was also of similar surprise especially to those in the industry that with the rains also arrived many sales. These were not confined to one sector of the market. A quick drive around town will confirm this with many more sold boards now than for sale. Traditionally agents and sellers have had to wait out the winter for spring which seemed to act as a starting gun for the market. Well not this year, and as vibrant new leaves appear on the majestic oaks and days get longer than the nights most agents have been left scratching for affordable stock. There is also further good news for the Greyton Property market with the return of the lei water and the re-opening of the market. The market has always formed an important part of a Greytonians week allowing for a catch-up with friends and time to find something nice for larder. So if you are thinking of a spot in the country then it may require moving it to the top of your to do list! The Western Cape winter is here and with it short days with cold nights. Fortunately this was accompanied with good rainfall. Usually this would have put the market into hibernation, but not hid year instead it seems to have lifted the mood for market. Against the trend properties sales returned to some sense of normalcy towards the end of the second quarter. With the rain brown wheat fields have quickly changed to carpets of green as this year’s wheat, barley and canola fields come to life. While it is by no means the end of the drought there are some very encouraging signs in Theewaterskloof Municipality. Especially the Theewaterskloof dam that is rapidly filling, up by 4.6% last week alone! There are several new sold boards around town and it does not seem to be confined to one segment of the market which is most encouraging. It should also be mentioned that that several properties now sporting sold signs have recently been reduced. It is clear that that buyers and sellers have been willing to adjust expectations in order to find common ground. Without a doubt property activity in Q1 dropped significantly in the Greyton. The first quarter of the year would have traditionally have seen an average of four sales per month. This has dropped to less than two and the number of properties on offer increased according to property 24 by 10%. Amongst these new listings were two properties below R2m which is interesting as we have not seen any new listings below R2m for a while. This noticeable downturn in the market can largely be attributed to two factors. The first being the drought and the second continued uncertainty surrounding the implementation of the heritage overlay. The latter will have a significant impact on new building and any alterations. Several parties are already experiencing substantial delays in planning permission as officials attempt to navigate thought old and new restrictions. Should substantial rains be forth coming in May and June this could go a long way to reviving the market. It is clear that Cape Town and the surrounding areas have yet to feel the full impact of the drought as even if there are good rains water restrictions will not be relaxed anytime soon. The impact of having no Lei water is clearly visible in most gardens. Q1 of 2017 can be noted for the first sale of a property above R10m. Showing that Greyton is still offering good value when compared to its regional competitors. Many buyers who bought into quiet country outposts at the edge of the city now find themselves having been absorbed fully into city life. The main complaint being that of traffic and other developments in area that have altered what was previously a country setting into just another suburb. 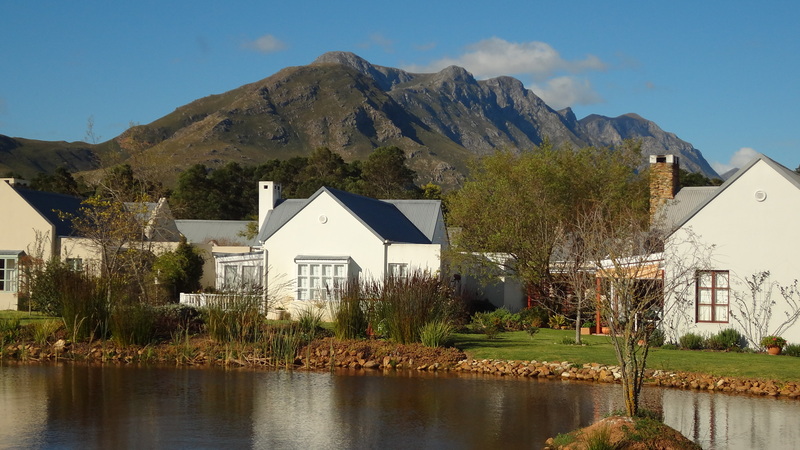 In order to escape buyers are looking further afield and the Overberg has become a target of their attention. Greyton is one such target offering considerably greener pastures, literally you may even be confronted with the odd cow quietly cropping the verge. Sadly for the first time ever at the start of the Q2 Greyton had its first housing protests. During the protests the well known Greyton market was burned down. There was also minor damage to roads and infrastructure however the most damage was the extensive coverage it received. Social media carried some of the worst incidents around the world. These events may intern have been responsible for an above average increase new listings shortly afterwards. Greyton has traditionally always seen a slight increase in stock levels after Easter. This year however these new listings appear to be above average. Property 24 shows that this is up on an ave year on year basis from 78 to 89 in May. Some of these new listings are at the top of the market which may also be as a result of a few sellers seeing new potential after the record sales in Q1. It is also important to mention that some buyers seem to be taking advantage of stable interest rates which could even be reduced later this year. This may provide buyers with added confidence in the second half of this year. Spring listings and sales will provide a strong signal to the Greyton market, it is expected the stock numbers will considerably contract towards the end of the year as a result of increased activity levels. Greyton followed much of the rest of the Western Cape with good support in the final quarter of 2016. Buyer’s consensus strongly indicates that residential property remains not only a place to live but also a good long term hedge against the worst. In spite of the local political idiosyncrasies when viewed against events in Europe and America Southern African is looking a reasonable bet. According P24 property info the average house price has dropped from R1,875m in Dec 2015 to R1.8m in Dec 16. Properties included plots, sectional title units and free hold houses. While the average sales price is reasonably stable transaction numbers have dropped from 75 in 2016 to +/-50 as of 31 December 2016. Some transactions have not yet registered so it is fair to assume that this will change in the next few months. The change should not be vastly different as there are no developments for sale in the area and sale numbers appear stable on a month to month basis. It should also be noted that Brexit has definitely had a measureable effect on buyers from the United Kingdom. This is mainly as a result of the substantial recovery of the Rand against the English Pound. This has resulted in Greyton property now being +/- 31 % more expensive than this time last year. It has also had the secondary effect of bringing more stock to market at English sellers look to sell and repatriate funds to the UK. Property report for 2nd quarter 2016. 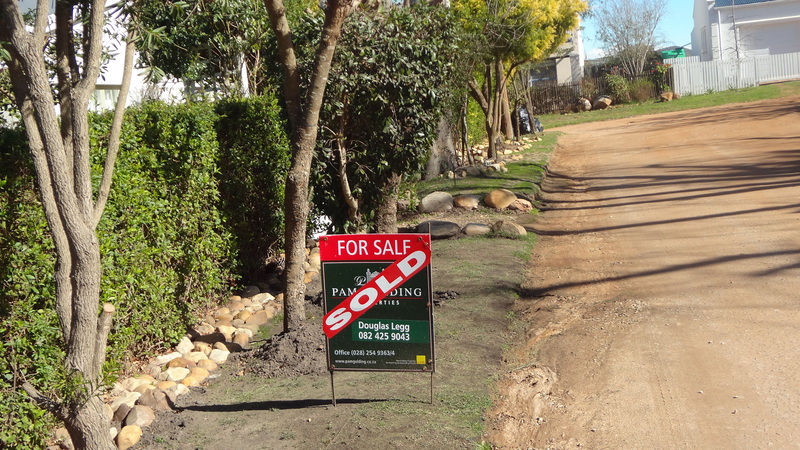 For the first time since 2005 the Greyton property market seems to be on the move. Sold boards now outnumber for sale boards 2-1. Stock at the bottom of the market is in short supply and we are now seeing sales above R4m. Unlike 2005 resistance seems to be growing at the upper end of the market. Buyers report feeling the pressure form increased transfer costs, slow or poor performance of property in areas outside the Western Cape and a general wait and see approach before the elections. Traditionally the Greyton property market has cooled along with the winter, however this year interest remained strong over the winter school holidays. Visitor numbers for this period were up from last year. It is evident that this all points to more activity in the middle, which more often than not receives a lot less attention than it should. It should also be noted that that there is a far greater demand for permanent homes than weekenders, a third bedroom being in most cases a must. While record prices continue to be recorded just over the mountain sales of top end properties remain pedestrian. In contrast to this mid range houses now have sales time that measure in weeks rather than months. By definition these are three bedroom two bathrooms on 1000m² to 2000m² with buyers looking to make Greyton their permanent home rather than a weekend retreat. Of particular note is the state of the Greyton rental market that is experiencing an extreme shortage of stock. This has largely been created by the vibrant short term rental market that caters for weekenders and holiday makers. Traditionally there has been a large difference in the rental potential between permanent and short term rental. This gap seems to be closing with an increase in permanent rentals. In 2016 Greyton property may experience some challenges as several unsupportive market forces start to act. These are namely the continued slide of the ZAR putting imported inflationary pressure on consumers, interest rate increases usually associated with a cooling effect on the property sector and generally poor economic outlook. In opposition to this is the movement of buyers relocating from north to south creating demand against this national trend and a measurable scarcity in several sectors of the market. It is very evident that sales in Greyton are accelerating with properties selling that have been on the market for two or more years. This is substantiated with an average house price increase of 14.28 percent according to Lightstone on a year on year basis. It is also worth mentioning that the average house price has only just risen above its 2008 high. If this is adjusted for inflation, the average house price still remains well below that of 2007/08 indicating good potential growth. Most buyers are still originating from up north and are having to undertake substantial downsizing in order to buy in the Overberg. Political and economic factors will continue to motivate buyers to move to safer pastures. New shops and businesses also seem to be increasing overall activity in town and it is not longer quiet as sleepy during the week. Overall outlook for sellers is positive as stock numbers continue to decrease. Furthermore there do not seem to be any major threats to prices and potential interest increases have already been priced in to this market. In spite of some rough weather climatically and on the SA economical front property sales continued in Greyton. It was however noticeable that these were fewer. Traditionally property sales have slowed in Greyton with the onset of winter and this year was no different. Also an expected interest rate increase may have caused some to adopt a wait and see approach. In spite of this demand for entry-level properties is still very high with agents struggling to find stock. Accordingly sales times in this sector are now measured in weeks rather than months. A phenomenon not seen since late 2006/2007. If history is anything to go by this should translate into strong sales in the middle of the market in the 3rd/4th quarter. Demand for Overberg property remains high as buyers from up north continue to look for safer pastures down south. Property sales accelerated during the first quarter with stock numbers continuing to shrink. As a result most agents now have little or no property for sale below R1.6m. Concerns over whether sales would continue after a positive Christmas and New Year seem to have been unfounded. If anything general demands in the bottom half of the market far outstrips supply and as a result properties are selling quickly for asking price. Year on year property transactions increased 30% in the first quarter while the average house price remained the same after inflation. This is however not the same at the top of the market, although some of the higher prices homes are now selling after being on the market for more than a year. In general most buyers who have looked in other areas still seem to think that Greyton offers reasonable value. Similar properties in other weekend and retirement areas closer to Cape Town and the sea are now selling on a price per sqm for double that of Greyton. No doubt the election will have an as yet unknown effect on property in the Western Cape with many buyers and sellers anxiously awaiting the outcome. The 4th quarter of 2013 showed an increase in interest and viewing numbers which translated into robust sales. This was not dampened by heavy rains in late November. Thankfully TWK storm water management efforts seem to having the desired effect. Stock numbers continue to decline and time to sale has almost halved since Jan 13. For the first time since 2007 buyers are starting to outnumber sellers in the lower half of the market. Also for the first time in as many years there have been two sales in the R3m + category which are encouraging for higher priced sellers. For the past two years sales have followed a seasonal trend, many owners will be watching to see if December’s momentum carries over into the first quarter for 2014. Traditionally interest in Greyton and property has remained strong until Easter. Continued relocation of professional or retiring persons from North to South. Weak Rand encouraging repatriation of funds by South Africans employed overseas. Stable Municipal area with good track record. Local schooling and other useful infrastructure. Well it seems spring is here in drips and drabs but the flowers and trees don’t seem to mind. Talk has turned to the Rose Festival on the 26th and 27th of October 2013. There are multicolored daisies in the open fields and emerald green shoots on the oak trees. Mornings are still cold but by lunch time its quiet pleasant. Property in spring has always been a good bet and there seems to be a slight increase on the already active market. Of note after several quiet months have been two sales and in the retirement village. Both for a reasonable price and one selling as it went on the market. Also it seems that properties are starting to move in the R2m –R3m where excellent value on a price per square meter is still available. PGP Greyton recorded three sales in this price range. Sale numbers also seem good in the under R2m where the majority of buyers are active. Stock numbers continue to drop with most properties being sold before being withdrawn. Buyers remain price conscious and intolerant of any perceive over pricing. Choosing either not to view or submitting very low offers to compensate. As ever common sense prevails and a fair price will always attract the interest of most serious buyers! Driving around Greyton you would be forgiven for thinking that there is a sold board on every corner. It seems that there is more action in town than the Caledon Casino. Out of the blue the second quarter of this year saw eight sales in its last six weeks. Personally I can’t remember a June like this in Greyton, and that goes back to 1997. Winter is usually when sellers start wondering if they are ever going to get another viewing and buyers are about as common as four leaf clovers. Well not this year! A quick fire succession of sales has left a hole in the stock list below R2m. Total listing numbers for PGP Greyton have come down from 76 on 1 April to 62 on 1 July 2013. This is almost a fifth of property offered in only the last six weeks of the quarter. Most buyers consulted expressed the belief that delaying buying now would only lead to increased costs later in the year. The steady average price increases in the last quarter of 2012 and the first of this year put an end to the idea that there could be a better deal around the corner. Also more buyers are reporting that they were able to purchase now as they had sold in other areas. Overall this shows that property in Greyton is viewed as a good low risk choice. Fortunately there are still a few well priced properties with committed sellers available. But the big question is for how much longer? Timing is everything in Greyton property. Over the years I have noticed just before the market gets going in Greyton several factors line up. The time of the year, the numbers of houses in a particular price range, the interest rates, and an increasing demand. With this in mind the time to consider a move is here! The year on year average property price increase is starting to accelerate. We have seen the same growth since January as the whole of last year. R1.48m in Jan 2013 to R1.65m in May 2013. This is an 11.5% increase! We no longer need to be concerned about a property selling. The market is changing and the resale inventory in Greyton is slimming down quickly. If the property is priced within a reasonable range the average time to sale has halved. There are substantially more buyers in the marketplace competing for fewer properties than a year ago and recent sales confirm this. If your dream is to own a piece of Greyton’s magic NOW IS THE TIME. There are some positives that have resulted from the down turn in the property market. The main one being a reset of the unsustainable growth of 2006 allowing new buyers into the market today. The advantage is to the existing homeowner who still has equity in their home, enjoys a sustained income and maintained their credit record. If you were thinking about a move you can’t afford to wait any longer!